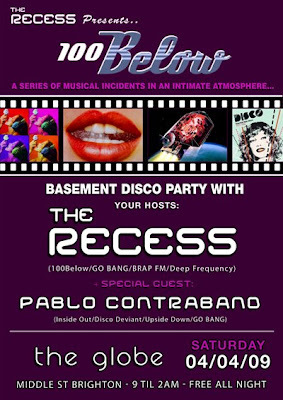 Pablo will be Playing 100Below with The Recess on April 4th, Disco Deviant with Andy (soft rocks) April 9th and will be in residence for Inside Out and Go Bang! parties throughout the summer in Brighton. 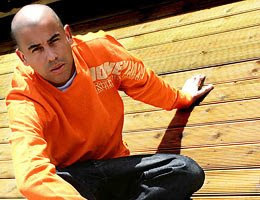 Blatant bit of rumour mongering here, but I put my money where my mouth is Clive Henry (Peace Division./Circo Loco) will play Beachdown this year. He's been one of the British contingent at DC10 for a few years now, alongside the Italian's, they have had a hand in pushing the minimal sound right to the top of many a playlist. Interesting and unexpected booking for Beachdown, aided by DC10's impromptu closure, Ibiza's loss, Brightons gain. 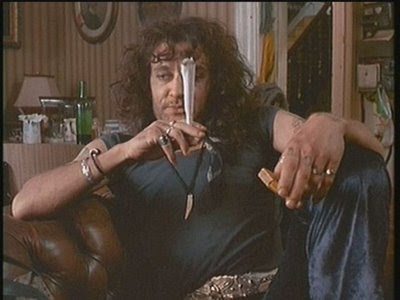 I've also heard a rumour regarding DJ Harvey at Beachdown, unsubstaniated but what a coup that would be! We were lucky enough to be at a superb night in Brighton on Friday, Danny + Pablo did a fine job warming up, before Greg Wilson came on and took us to new heights. The atmosphere was electric. Highlights included Chic - I want your love (terje edit), DD - Don't let go (pete herbert edit), Atlantic Conveyor - We are, and a sublime mix of Yazoo - Situation (dub) into Voodoo Ray. Utter brilliance.